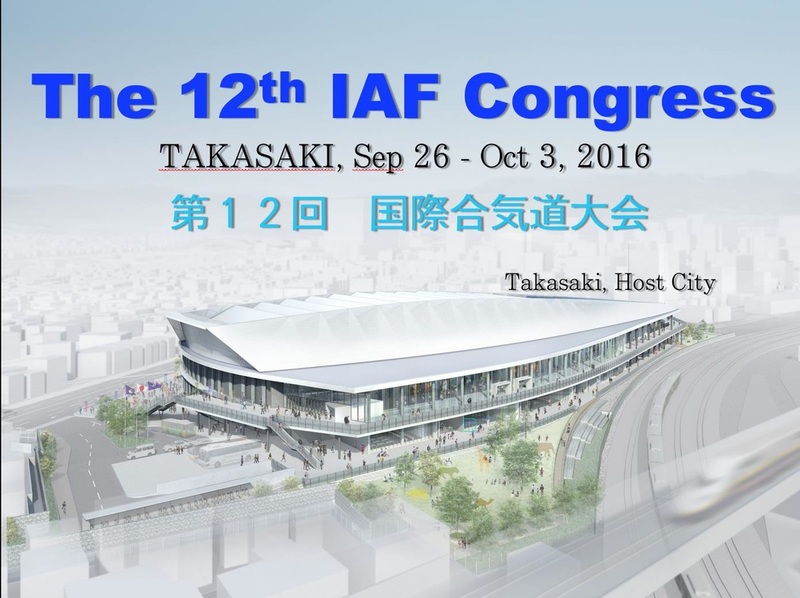 The IAF (International Aikido Federation) Congress is held every 4 years and in 2016 this event will be held in Takasaki City, Gunma Prefecture, Japan. During the congress there will be a week long Aikido training seminar featuring many internationally acclaimed Shihan from both Japan and around the world, including Aikido Doshu Moriteru Ueshiba. A fantastic opportunity to experience Japan and participate in the intensive training classes offered. UAE AikiKai Aikido (DAAA) will be travelling as a Tour Group for this memorable event! What is an Aikido technique without proper timing? It’s the same degree of discomfort when listening to a broken record…It just doesn’t “flow” right. Aikido is the language between two (or more) bodies on the mat, the first one is called “Uke” the attacker, and the other is called “Nage”, the receiver who applies the technique. For a good conversation in any language, the flow of words should be timed well so that it does not cause disturbance to either persons. The same principle is applied in aikido, not represented in words, but demonstrated physically and mentally. When Uke and Nage approach each other, a distant connection is made between the two bodies, this martial engagement is created to anticipate the speed and the behavior of the attack. Therefore, based on the measure of uke’s approach, capture the perfect moment to apply the technique executing without disturbance. Such execution is not a one man show; it requires both bodies to be attentive and responsive before, during and after the technique. blend with their energy....it will make training more productive for both Uke and Nage. A perfect tool for you to study your partner’s movement is to be his uke before becoming his nage. open window to thoughts, which can give you a hint of how the attack is going to behave. On the 3rd & 4th of July 2013, UAE Aikido hosted the UAE's first visiting Shihan Seminar. Loius Van Thieghem is a certified Aikikai Hombu Shihan (Master Instructor) and ranked at 6th Dan. Training was held at both Northern and Southern dojo's and followed by Club dinners. UAE Aikido was represented in Japan recently as senior Club members attended the International Aikido Federation (IAF) Congress. The Congress meets every 4 years and is a great opportunity to meet and train with Aikido-ka from many countries all around the Aikido world. UAE Aikido was represented in Australia recently as senior Club members attended Aiki-kai Australia's National Aikido Summer School in Melbourne. Intensive Schools occur twice per year. Students "live-in" and experience full time, 'uchi-deshi' type training over a 7 day period. Whilst the daily training is physically demanding, there is always time in the evenings to socialise over dinner sharing Aikido stories and experiences. Morihei Ueshiba (1883–1969), founder of the Japanese martial art of Aikido, is one of the greatest and most beloved martial artists in history. Remembering O-Sensei is a portrait of Ueshiba as told by his uchi-deshi, the students who lived and trained with him as his disciples. This collection of memories—gathered here for the first time—captures the essence of this extraordinary martial arts master and visionary, revealing Ueshiba's teaching style, his daily habits, his philosophy of life, the lovably human aspects of his personality, and his deep belief that Aikido could be used as a means to creating peace and harmony in the world. The book also provides a snapshot of a fascinating time in Japanese history when a student would apprentice with his master by essentially moving in with him and receiving instruction through rigorous training sessions, and also by serving him and observing his actions in daily life. Most of the students whose remembrances are included in this book went on to spread the teaching of Aikido throughout the world and became masters in their own right. ￼Louis Van Thieghem Shihan is Sugano Shihan’s most senior student in Europe and assisted him to pioneer Aikido in a number countries including; Belgium, Russia and Cameroon. Amongst the many positions he holds in Europe, he is part of the Grading Committee for the AFA Belgium in Southern Belgium and also for the VAV (the northern organization that follows Sugano Sensei's teachings). He is also part of the panel which accredits Aikido teachers for the Belgian Government (equivalent to Shidoin and Fuku- shidoin). In addition, he is the Technical Director of the Inter-regional Aikido Federation of the Crimea and Sebastopol, and Technical Director of the Yamato Aiki Kai Aikido Foundation in St Petersberg, Russia, and of the Aikicen of Cameroon. The UAE AikiKai Aikido (Dubai AikiKai Aikido Association) is a government endorsed non-profit organisation and network of experienced Aikikai Aikido Hombu certified Yudansha, dedicated to the practice and official direction of Aikido within the United Arab Emirates.